To both of those questions, I would say “yes”. If you have the space and money for a real piano, there is truly nothing like it. That said, I have spent most of my life in piano lessons, whether taking them or teaching them, and I got my start on a digital piano. If your child (or you) is a beginner, there are a number of reasons you can start with a digital piano. 1. Beginning lessons usually focus on basic theory and developing the fine motor skills required to play. These concepts can be learned just as well on a digital piano as on a piano. 2. Digital pianos are usually smaller and lighter than real pianos allowing you more flexibility in finding the best place for this new family member in your home. 3. Digital pianos are usually cheaper. 4. Digital pianos have headphone jacks, which you may find come in pretty handy. 1. 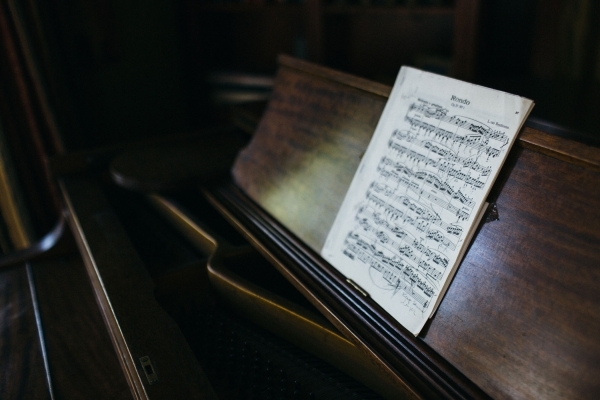 Your student starts learning more technique and finer nuances to their piano playing. This often happens after a year or two. 2. Your student has demonstrated a sustained interest in learning and playing the piano. 3. Your student is using the sustain pedal regularly in their music. Digital pianos do have pedals (or the option to add one), but the feel is slightly different. The experience of playing a real piano is significantly different than playing a digital piano. If you choose to start with a digital piano, I encourage you to get to a piano purchase eventually. I’ve seen a student’s interest in playing explode when their family purchases a piano. What has your experience been with digital pianos vs. pianos? Share your thoughts below!